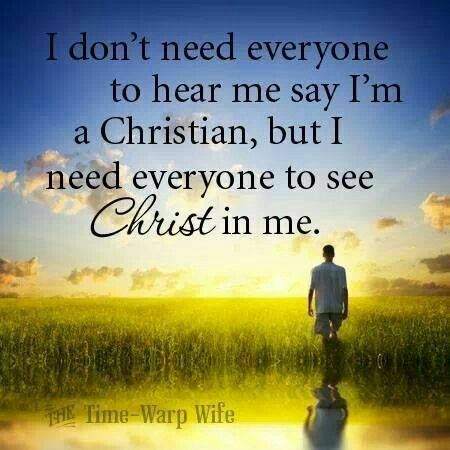 Run For God- preparing people to be better witnesses for Christ physically, mentally and spiritually. Physically by creating a healthier you and make it possible to reach a new demographic of non-believers-potential believers. Mentally by learning the discipline and endurance it takes to run the race set before us. Spiritually by learning always to give God the glory for all that we accomplish. Yesterday we finished our 12 weeks of running for God. My wife led her first Run For God class at our church. She stepped out of her box and did a wonderful job. I helped out with the children. I tried to teach them a lesson each week on preparing for the race and endurance of being a Christian. In the end I think they just ran around playing hide and seek in the life center more than anything. 12 weeks of studying what it takes to run the race as Christians. 12 weeks of building endurance to run the race. 12 weeks of getting to know other members and become friends with them. 12 weeks of having struggles, doubts and fear. 12 weeks of overcoming every obstacle in the way and achieving more than we ever thought we could. Almost all the members of the class were newbies to actually running. Some ran years ago but had given up. Some had never ran at all. The first week we started off by jogging 60 seconds and then walk for 90 seconds and repeat for 20 minutes. The homework was to do this 2 more times during the week. We slowly increased this week to week where week two was 90 seconds jog, 120 seconds run for 20 minutes to the last class where we jogged for 30 minutes straight. It is always amazing to see the people that struggled in week 1 to jog 60 seconds actually jog for 30 minutes and how much confidence they have gained in themselves through this process. Throughout the weeks we learned about different types of running gear, shoes – not one size fits all, stretching the proper way, injuries and injury prevention. We learned about nutrition, proper ways to lose weight, staying motivated, running your race and what to expect during the race. We watched videos and read inspriring stories from the Hoyt family, Ryan Hall, Edwin Moses, Gary Basher and many others. These stories told us about overcoming obstacles, fears, and doubts. We read about how Jesus is the one who enables us to run at all. 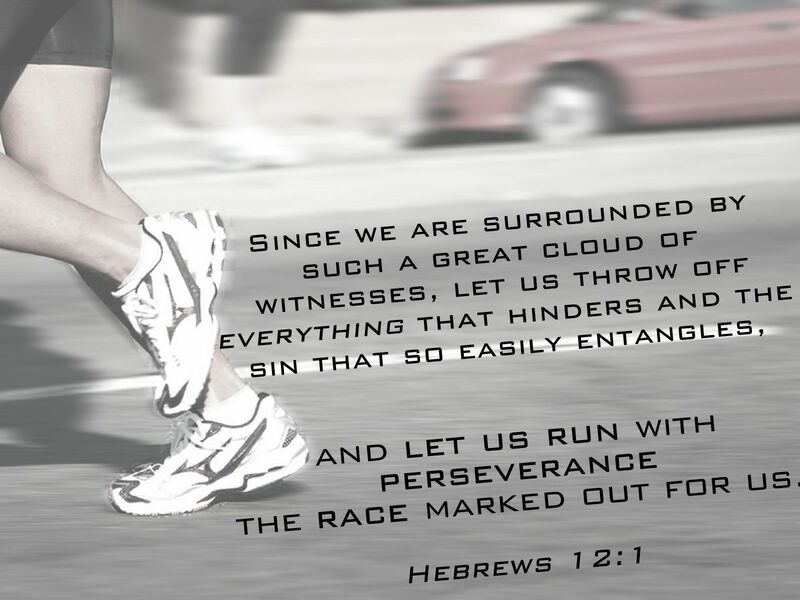 The race of faith takes us to eternal life through God’s wondrous hand. Stick to God’s plan and let God keep you on the path that leads to life. We learned that to be a runner, and a Christian, you have to have the right equipment, be determined, diligent, and focused. 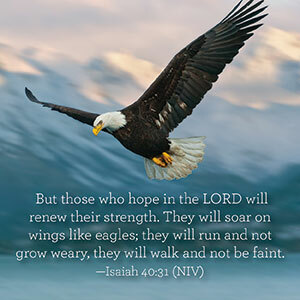 The Bible makes an incredible number of references to the sport of running, paralleling it to the lives of believers and the journeys of exhaustion, pain, and dedication that all Christ-followers must experience. Instead of always asking God for what you want, try asking for a better understanding of what He wants. Sometimes we get so busy doing what we think God wants us to do that we totally miss God. Make time every day for the Lord even if it means sacrificing something else that you love- it will be well worth the sacrifice. Don’t lose focus of your goal, whether it is physical, mental, or spiritual. Keep your eye on the goal and don’t complain about the obstacles you have to go through to achieve your goal. 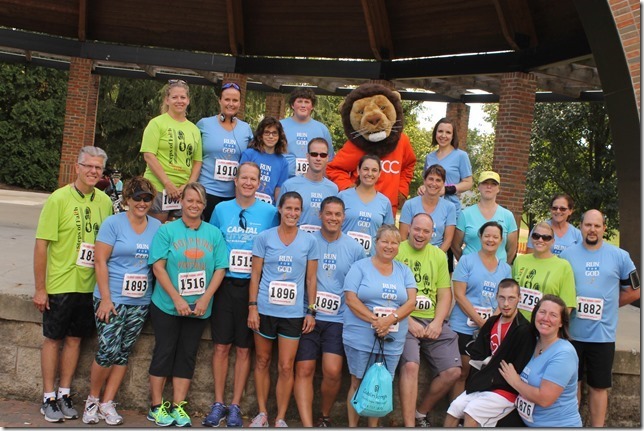 Our 12 week ministry ended with the Steps Of Faith 5k run/walk that our friend, Ben Reed, started 4 years ago. All race proceeds will support The Heinzerling Foundation and Bradley’s House of Hope, two organizations (one local & one global) working to engage & develop individuals with disabilities in a loving & nurturing environment. We had the largest turnout ever with over 400 people registering, I believe 8 different churches came together to run and share God together. Run For God does not end with the class. Many participants realize they can run and keep on going. 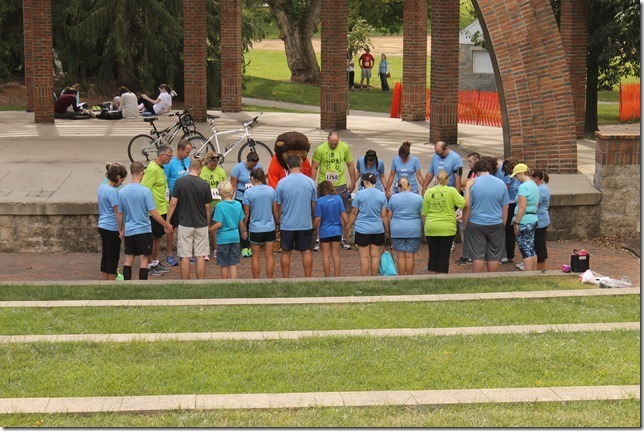 Run For God is also a community outreach. I know several times have worn their Run For God shirts when running or shopping or … and people always are asking “what’s this Run For God thing?”. We also volunteer at water stations for other races such as Cap City, Emerald City, Nationwide Children’s 1/2 and marathon, Ohio State 4 miler, and many others. Look for a church near you to join the next class. Can’t find one, start one. You will be amazed. Know that what you choose to believe is what will remain until we change our mind. If you believe that you are defeated then you are. While you are focused on tomorrow know that God is already there working it out for you, so live in the present. Live each day believing you are victorious in every area of your life. Run for God. Live it. Love it. Teach it. Thanks Ben Reed, thanks Mitchell Hollis for starting Run For God and, most of all, thanks to God. With Him, anything is possible.